When it comes to treating addiction, South Coast Counseling believes there is no one-size-fits-all approach, which is why we offer a variety of addiction therapies. Our goal is to provide each client with their own individual treatment experience by using truly individualized treatment plans. Our dedicated staff works with each client to address the core issues that led to their drug problem and help guide them to long-term recovery from addiction. Underestimating the importance of therapy in the drug and alcohol addiction treatment processes can have drastic, painful consequences. Those patients who never confronted the root causes of their substance abuse problem are much more likely to relapse into the destructive behaviors characteristic of addiction as soon as they move on from the rehab center. The benefits offered by therapists who specialize in alcohol and drug addiction treatment are manifold. For one, they offer the patient the chance to delve into the emotional underpinnings of his or her self-damaging tendencies. What Types of Therapies are Used When Treating Addiction? Among the types of therapy offered are one-on-one talk sessions, twelve-step programs, group therapy and cognitive therapy. Each provides an array of different positive aspects. For example, group therapy allows peers to come together to express, in a completely safe environment, their troubles, concerns and feelings. This mutual support can extend even beyond the group, creating lasting, life-affirming bonds that are tremendously beneficial to the recovery process. The risk of relapse is mitigated by the development and reinforcement of an understanding, compassionate social circle. There are many, many structured therapy techniques available to ensure a profound and lasting recovery. Substance abuse can have a dramatic and negative impact on the life of the abuser and those he or she loves most. If you or a loved one suffer from an alcohol or drug addiction, you should reach out to us immediately. Our specialists are compassionate experts who can really make a difference. At our drug and alcohol rehab center, we provide the therapy programs that can help you or your loved one achieve lasting recovery. Learn how, exactly, therapy can most benefit you. Call us today, and rediscover the lightness and sense of wellbeing a life free of addiction can give you. 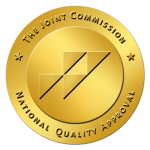 Whether you are looking for yourself or a loved one, choosing the right treatment center is an important decision. 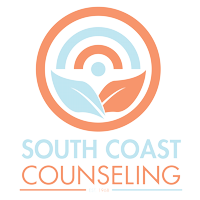 Here at South Coast Counseling, we have been treating substance abuse and mental illness in Southern California for over 45 years and understand that treatment for substance abuse must be individualized. The same therapies and treatment plan that work for one individual may not work for another. When you trust South Coast Counseling to treat you or your loved one, we ensure that your recovery is our goal. Call us today at 1-888-888-8788 and take the first step towards freedom from addiction. Every day 115 Americans overdose & die due to drug addiction.